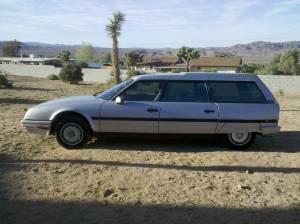 Although this isn't the first Citroen CX to appear on BB, it is the first one on this continent. 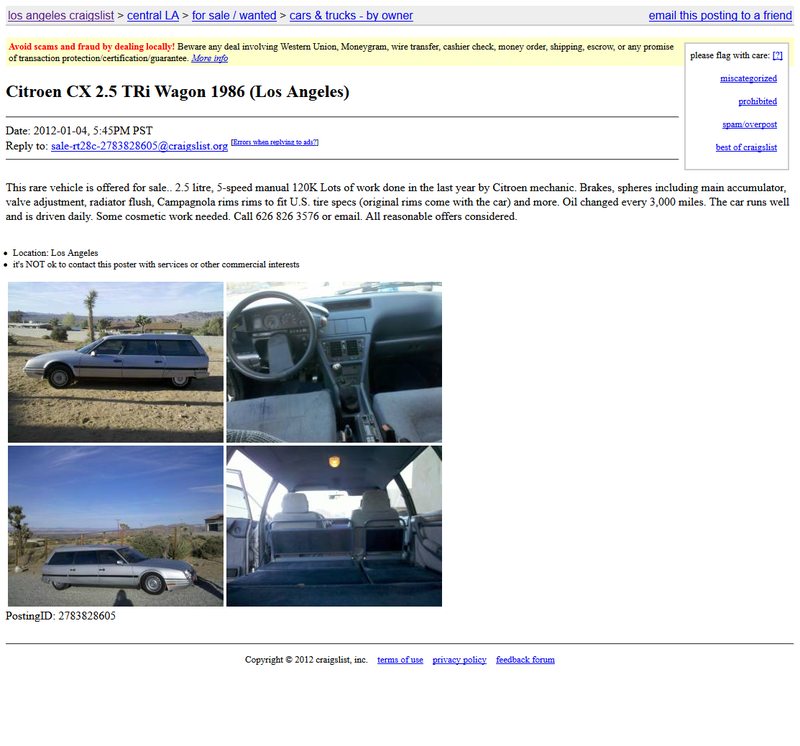 From the sparse CL add, I can't tell whether or not this french car has aged like wine or cheese. It appears clean, the miles aren't ridiculous, and the owner claims its been serviced by a reputable Citroen mechanic. On the other hand, the front ride height looks awfully tall (load leveling issue?) and it'll be difficult or expensive to find parts for the cosmetic work needed. Either way, I wish it wasn't on the other side of the country and the seller should have listed a price.